The LS polls are near and leaders are doing everything to bag votes. 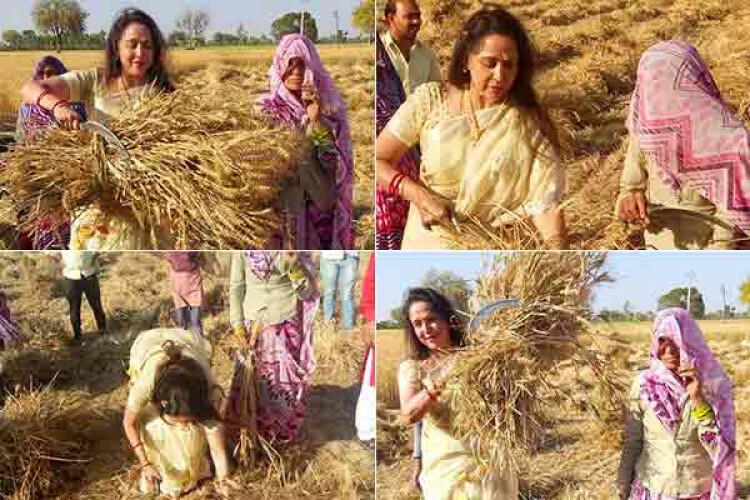 Sitting BJP MP from Mathura, Hema Malini has come out in the fields to harvest wheat crops with women during her campaign in Mathura. She shared her photos online. During filing her nomination she indicated that it might be her last elections as she wants to make way for the young generation. Malini also said it'll be dangerous if someone else wins.